Though menus are full of dollar deals, $4 combos, $5 meals, and even one-cent burger promotions, fast food overall has become more expensive in the past decade—and not just to keep up with inflation. 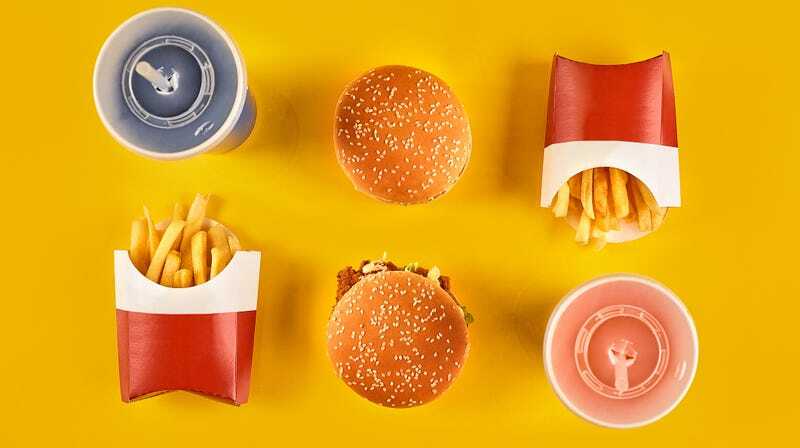 According to analysis of data provided to The Takeout by food-industry market research firm Datassential, the median price of fast-food burgers and chicken sandwiches have increased 54 and 27 percent, respectively, since 2008. The median burger price at a fast-food restaurant (referred to as a quick-service restaurant, or QSR, in industry-speak) rose from $4.50 in 2008 to $6.95 today. That’s not only an objective jump in price, but it changes the psychological experience for customers paying in cash: 2012 was the last year that a person could buy the average fast-food burger with a five-dollar bill. Today, the median fast-food chicken sandwich goes for $6.99, up 4 percent since just last year. The Chipotles of the world possibly play a part. The rise of chains promising better ingredients and more elaborate toppings slowly conditioned customers to expect these things from fast food, too. (The median burger price at fast-casual restaurant this year is $7.49.) McDonald’s recently announced it would remove artificial colors and preservatives from many of its burgers, and it’s also testing fresh-not-frozen chicken at 160 locations. Dunkin’ has also pledged to remove artificial coloring from its doughnuts. Those upgrades come with price tags, as do increased wages for restaurant employees and companies’ sustainability efforts. If customers expect fast-food restaurants to step up their game, it looks like they’ll be the ones footing the bill.